14k Yellow Gold Cathedral Engagement Ring | Shane Co. This clean and sophisticated 2mm cathedral setting is crafted from superior quality 14 karat yellow gold. 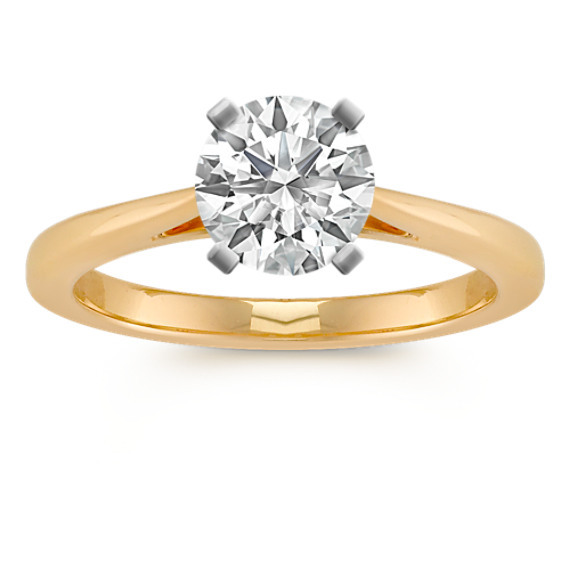 Add a center diamond in the shape and size of your choice to complete the look. I got this stunner to wear with the gold band I got married with, It's absolutely beautiful!! !